Ex15.1, 2 Which of the following experiments have equally likely outcomes? Explain. (i) A driver attempts to start a car. The car starts or does not start. The car getting started or not started depends on how old the car is, is their fuel in the engine, is has met in an accident etc. 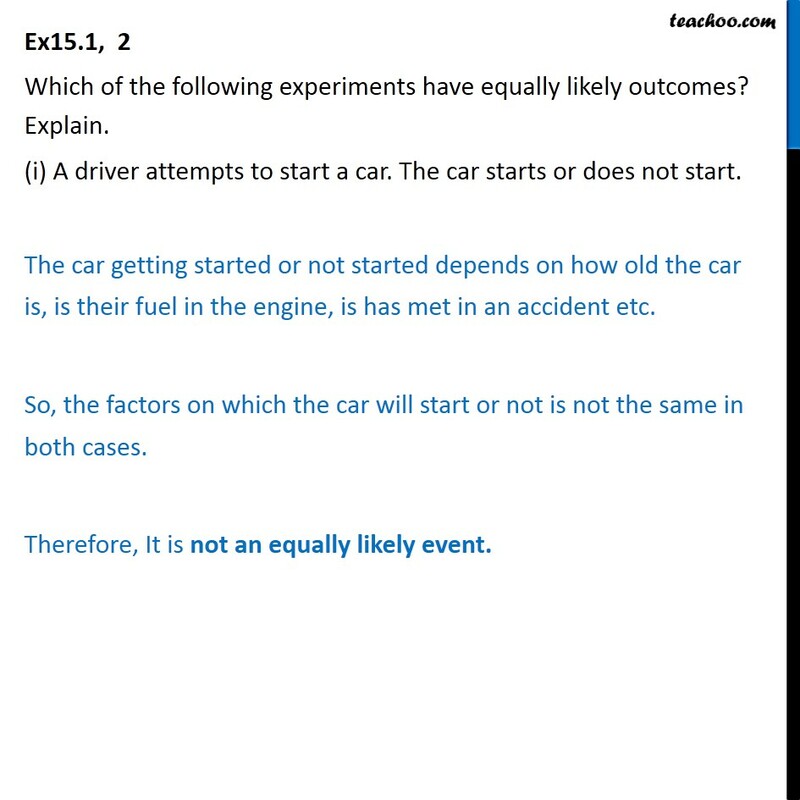 So, the factors on which the car will start or not is not the same in both cases. Therefore, It is not an equally likely event. Ex15.1, 2 Which of the following experiments have equally likely outcomes? Explain. (ii) A player attempts to shoot a basketball. She/he shoots or misses the shot. 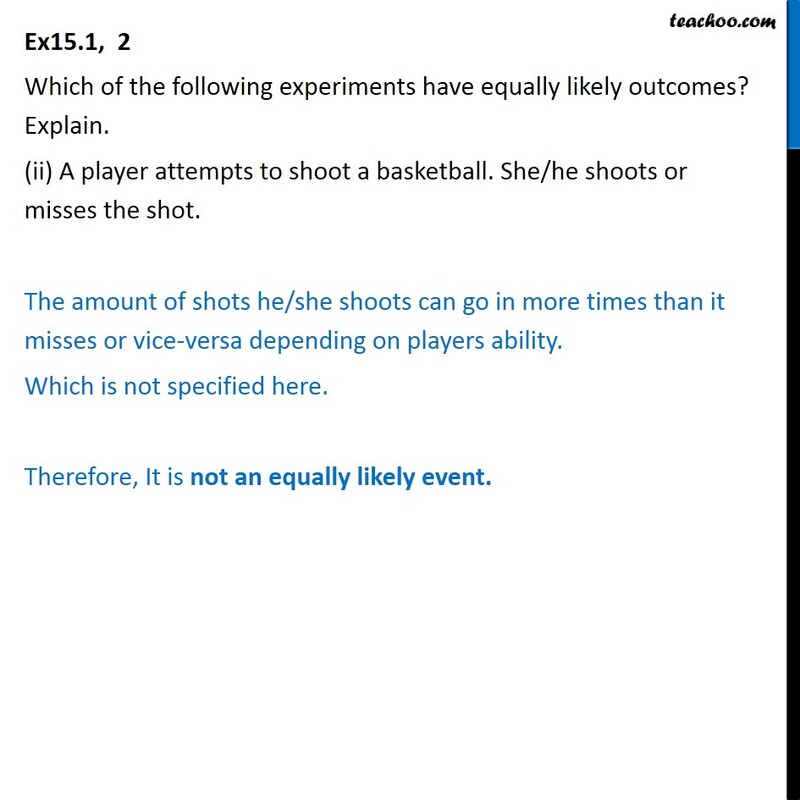 The amount of shots he/she shoots can go in more times than it misses or vice-versa depending on players ability. Which is not specified here. Therefore, It is not an equally likely event. Ex15.1, 2 Which of the following experiments have equally likely outcomes? Explain. (iii) A trial is made to answer a true-false question. The answer is right or wrong. The answer can only be right or wrong. 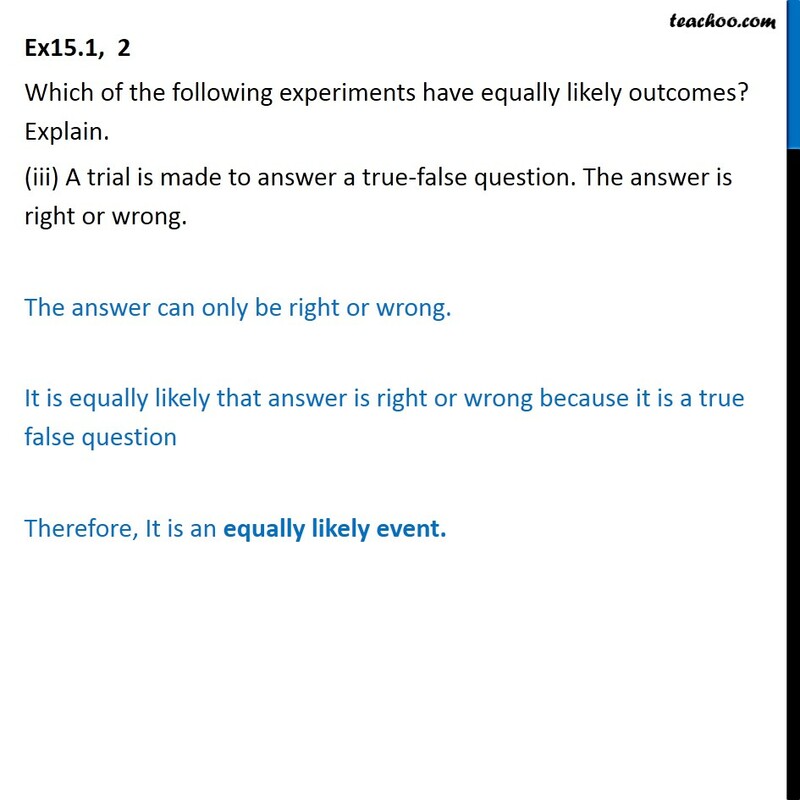 It is equally likely that answer is right or wrong because it is a true false question Therefore, It is an equally likely event. Ex15.1, 2 Which of the following experiments have equally likely outcomes? Explain. (iv) A baby is born. It is a boy or a girl. A baby can be a boy or girl. 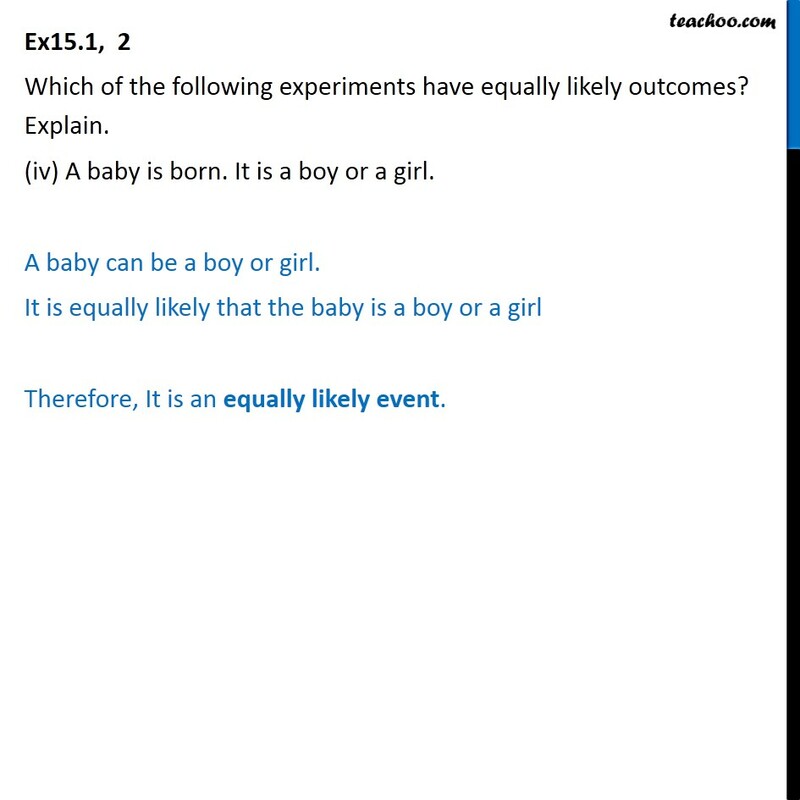 It is equally likely that the baby is a boy or a girl Therefore, It is an equally likely event.